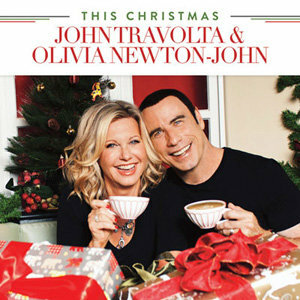 A chance text from Newton-John to Travolta one Christmas prompted Travolta to come up with the idea for a Christmas collection. Newton-John noted that their Grease hit "You're the One That I Want" had just become the best-selling duet in pop music history. "From the moment we decided to do this, magic happened," Travolta said as quoted on Amazon. "Everyone we contacted agreed to do it." Continuing Travolta said, "My desire was to make This Christmas an intimate album, not something too ostentatious or showy. I wanted people to be able to play it around the house or in the car during the holidays, and make us part of your celebration. Gathering around house listening to Christmas music has always been an important part of that time of the year to my family." They've also solicited the vocals from some fellow celebs to add extra pipe-wattage to the album. Barbra Streisand, Kenny G, Cliff Richard, Tony Bennett and James Taylor are among those whose famous voices can be heard on various tracks. "It just fell into place," added Newton-John, a four-time Grammy Award-winner, who has five number-one singles under her belt and 100 million albums in sales worldwide. "With our busy schedules, I don't know how we got it done. John and I have always connected. That's never gone away. When we're together, we have a good laugh and feel bonded to one another. We've been through some amazing experiences together." And the potential cash cow that the album may generate will head to their respective charities. Travolta's charity named after his late son Jett will go to fight children's disabilities, including autism and seizures, while Newton-John's will go toward the search for a cure for cancer and helping victims of the disease. BRILLIANT idea! Grease is still the word for me! The subsequent time I read a blog, I hope that it doesnt disappoint me as much as this one. I imply, I do know it was my choice to learn, however I really thought youd have something fascinating to say. All I hear is a bunch of whining about something that you would repair when you werent too busy looking for attention.